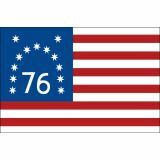 There is another version of the American flag which wasassociated with the American Revolution Battle of Bennington, this is called the Bennington Flag. 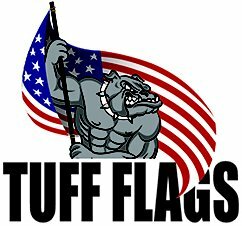 You can buy authentic Bennington Flags from Tuff Flags that are crafted with 200 denier Nylon fabric and finished with brass grommets and heading. 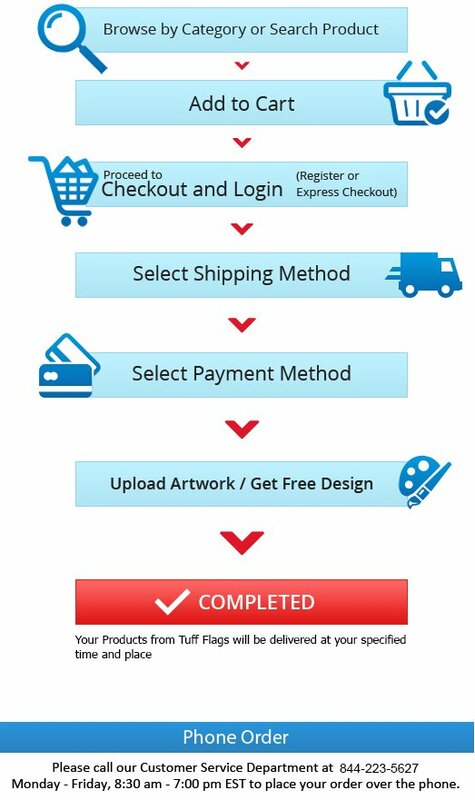 Shop from our Commercial Grade, durable, and 100% made in the USA Bennington Flags from us and get the advantage of the best prices, quick shipping, and much more! 100% customer satisfaction guaranteed! Celebrate the victory at Bennington against the British force that was despatched to seize the supply of American goods stored there with our top quality Bennington Flags. Our single side reverse flags feature UV resistant Dupont ink that will retain its color clarity for a long time. Our historical flags are unsurpassed in quality and authenticity. Incidentally, Bennington Flag is the only American flag to begin with a white stripe. Named after the Battle of Bennington in 1777, this flag features thirteen stars in a blue canton and thirteen red and white stripes. The Bennington Flag features seven white and six red stripes, unlike most US flags which have seven red and six white stripes.